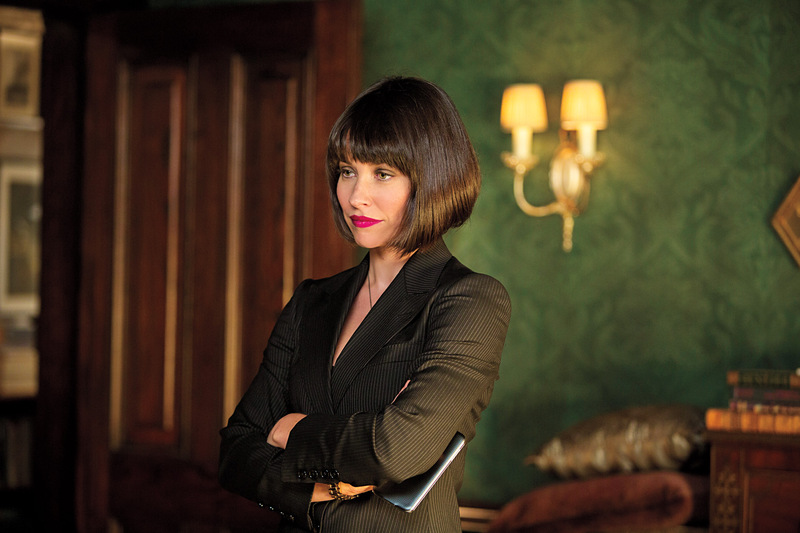 Take note, there are plot details from Ant-Man below. Maybe see the movie before you read this. There’s plenty that I enjoyed about Ant-Man beyond Paul Rudd’s relentlessly likable performance as modern-day Robin Hood Scott Lang. It’s peppered with good jokes, has a supporting cast that is fun here and will almost certainly continue to be fun in future Marvel projects, and most importantly it scales back the story-telling that over-inflated Avengers: Age of Ultron earlier this summer. But it’s also a movie that highlights one of the Marvel Cinematic Universe’s biggest weaknesses: it fails its female characters. Marvel’s been tying its ever-expanding universe together with weaker and weaker knots of late, but the cameos and references that place Ant-Man in the larger MCU are less heavy-handed than those that threatened to sink Age of Ultron (no Infinity Stones here, thank goodness, or shirtless Thor to shoehorn them in), and Scott is finally a hero with the good sense to suggest calling in the Avengers when things seem dire. But one of Ant-Man’s greatest strengths is the fact that the movie is built on significantly smaller stakes than what we’ve seen the Avengers take on–together and apart–in the last few years. Scott and his gang of misfits don’t need the help of Earth’s Mightiest Heroes. They’ve got this. Ant-Man is a heist story. It’s about trying to cut the bad guy off at the pass, rather than waiting till the last minute to duke things out with an entire army. Cities don’t get destroyed in Ant-Man (just a couple of suburban houses and one fancy tech company), very few people–or ants–die. There’s really only one big fight sequence, compared to the four or five that left Age of Ultron feeling so crowded, and it’s between two middle-aged men in high-tech suits, mostly in a little kid’s bedroom. It’s not that an apocalyptic threat doesn’t hang over the movie, there’s the potential for Ant-Man’s one bad guy to turn into an army of bad guys, but the central conflict is the effort to prevent that from happening. These are essentially the same stakes as the first Iron Man, but also of the opening sequence of Age of Ultron. MCU movies have grown so large that this felt, appropriately enough for its hero, pleasingly small. But the other side of any Marvel movie, the more important side, is the character work. To that end, Ant-Man is the story of two fathers and two daughters. Scott, back in the world after three years in prison, wants to be an active part of his young daughter’s life, but his ex-wife and her new fiance don’t want him around until he can pay child support. Hank Pym, the original Ant-Man and Scott’s new mentor, is trying to redeem himself in the eyes of his own daughter, Hope, after 27 years of detached parenting following her mother’s disappearance. And it was in these two stories that Ant-Man failed. It’s no secret that Marvel’s got a “women problem,” from the persistent on-screen sidelining of female characters to the off-screen lack of merchandise featuring them. It’s not that they don’t create interesting, complicated women that could carry their own stories, it’s just that they’re not giving them the opportunity. So far the ABC series Agent Carter is the only on-air project where a female character is holding down the center of the story (though AKA Jessica Jones is scheduled to premiere on Netflix later this year). And Ant-Man’s greatest weakness is that it never convinced me that it should be telling Scott’s story and not Hope’s. Hope is pretty vocal about the fact that she wants to be the one wearing the Ant-Man suit. She’s the trained fighter, it’s her family legacy (on both sides, it turns out, because of course her mother’s disappearance ties into things). To her, Scott is no one, a guy her dad brought in because he’s a good thief. And she’s not wrong. Scott tells her himself that he’s expendable, that the reason her dad wants him in the Ant-Man suit is that the heist they’re planning is too risky. Scott’s a criminal with something to prove, but Hope is Hank’s daughter. But Scott is also a parent. He’s motivated by a desire to be a part of his daughter’s life before it’s too late, before they end up estranged like Hank and Hope. This is his movie, his world expands out past the Ant-Man stuff, to family, and to his own group of criminal side-kicks. The movie never presents anything similar for Hope. She has a job at Pym Technologies (apparently an important one, though she comes across as a glorified tour guide or a passive observer whenever the audience sees her at work), a dad she barely knows and doesn’t much like, and, as far as we can see, that’s it. That’s her world. Ultimately, she is the character that feels expendable. So why is saving Hope more important than saving Scott? Is it because she’s Hank’s child or is it because she’s Hank’s daughter? At one point in the movie Hank refers to Darren Cross, his former protégé, current nemesis, and Ant-Man’s bad guy, as someone he once saw as the son he never had, someone who could follow in his footsteps, and Darren speaks to Hope about how Hank failed them both as a mentor. But Hank didn’t fail Darren, he stepped back when he saw too much of himself reflecting back, did it to protect the world from a real threat; he did fail Hope. Hank rejected his daughter out of fear, sent her away because he couldn’t protect her mother. And Ant-Man is just the story of how he repeated history. Because when the audience is finally shown what happened to Hank’s wife, aka Janet van Dyne, aka the Wasp, it becomes clear that Hank did not fail to protect her. Rather, she made a decision to sacrifice herself to save the world, and to save her husband. When Hank puts her disappearance on himself he denies her her agency. And when he doesn’t let Hope put on the Ant-Man suit he does the same thing over again. He refuses Hope her legacy, and the opportunity to make her own decisions. And let’s talk about Scott. Scott is not looking for redemption in his daughter’s eyes, because Cassie already worships him, believes in him, and sees him as her personal hero. It’s the person that’s keeping him away from Cassie, his ex-wife Maggie, that needs to see that Scott has changed. Or that’s what you’d think, right? But that’s not the way Ant-Man presents it. Yes, Maggie is the one that tells Scott he needs to get an apartment and a job and that he needs to start paying child support in order to be a part of their daughter’s life, but it’s her fiancé Paxton that presents the real obstacle. He’s not just the new father figure in Cassie’s life, he’s also the cop that’s out to get Scott. Not a bad guy at all, but the guy who has the life Scott left behind when he went to jail. And it’s to Paxton that Scott must ultimately prove himself. Paxton arrives just in time to see Scott save the day and that’s enough to allow him back into Cassie’s orbit, to redraw the lines of their family. So where does that leave Maggie? Like Hope, she’s an afterthought in her own family. Her feelings about Scott, both as her ex and as a presence in her daughter’s life, are never examined. The character could have been played by a cardboard cut-out behind a curtain, and is instead a complete waste of Judy Greer, an actress who deserves so much better. Hope does, mid-way through the movie’s end credits, receive her own suit (my knowledge of the original comics is limited, but a Google search tells me she’ll be Red Queen), and maybe at some point Marvel will decide that it wants to put her at the center of a movie, or a TV show (or whatever Marvel is up to at that point…a web series? A SnapChat Story? ), but it already feels like too little and too late. Her story could have, should have, already been told. Ant-Man wants you to believe that it’s about fathers and daughters, but it’s actually about men and their relationships and conflicts with other men. Scott and Hank, Hank and Darren, Darren and Scott, Scott and Paxton–these are the bones of Ant-Man, but there could have been a much more interesting story, if the movie had bothered to examine it. As this universe keeps growing it needs to keep thinking small, at least part time, because the pressure to keep going bigger is already starting to trip them up. There are a wealth of stories, of all sizes, to be told about the women that have been sidelined for too long. It’s time to tell them.